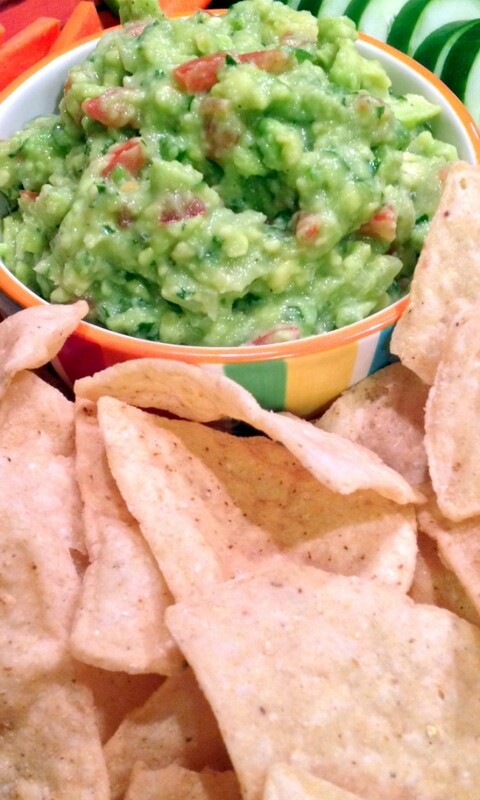 I once spent portions of a 10 week culinary school internship making guacamole for a live audience. On some days, I spent the whole ten hour shift making guacamole. 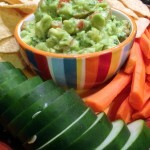 While it may sound tedious (which it was), it also left me knowing how to make some serious guacamole from scratch – a simple, yet delicious recipe – and a favorite from my repertoire. Want to mix it up a bit? Substitute chipotle peppers in adobo sauce (smoked jalapenos) for the jalapeno to give the guacamole a spicy and smoky twist. You can find them canned at most grocery stores. 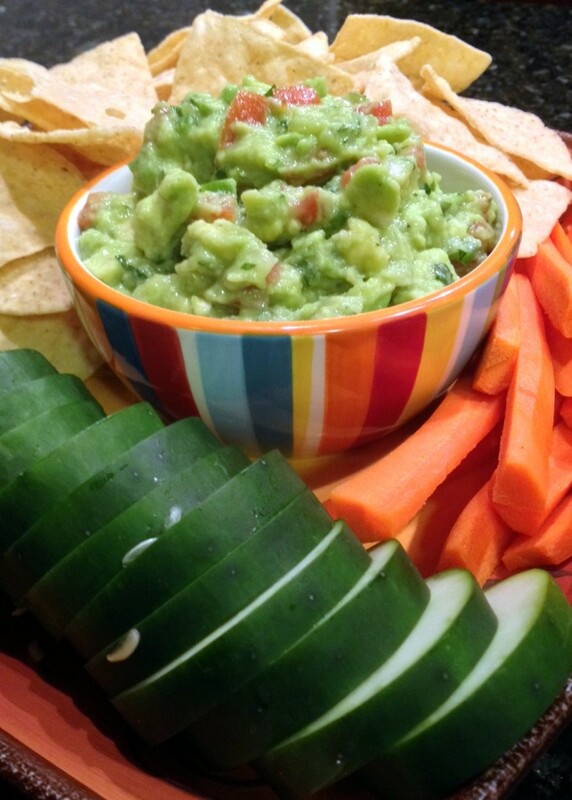 Delicious, creamy and chunky homemade guacamole. Combine all ingredients and gently mix. I prefer the guacamole to be somewhat smooth, with some cubes of avocado remaining in tact. The best way to obtain this is to mix it with a rubber spatula. Break up some of the avocado cubes and fold in the remaining cubes to combine. Let it sit for at least 30 minutes before serving. 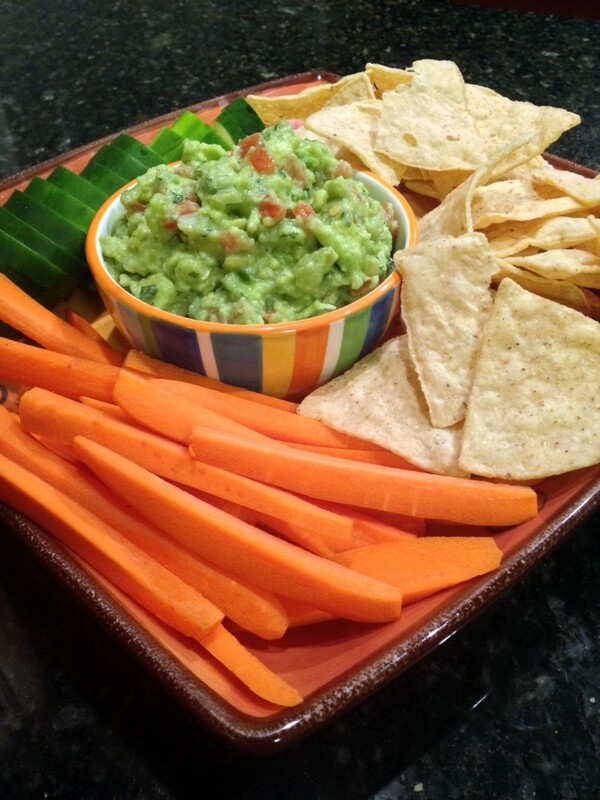 For best results – serve with homemade tortilla chips and fresh vegetables. *You can control the heat of the guacamole by removing the seeds and the white “ribs” on the inside of the jalapeno. Removing these will greatly reduce the intensity of the heat. If you prefer more of a kick, leave one or both in.